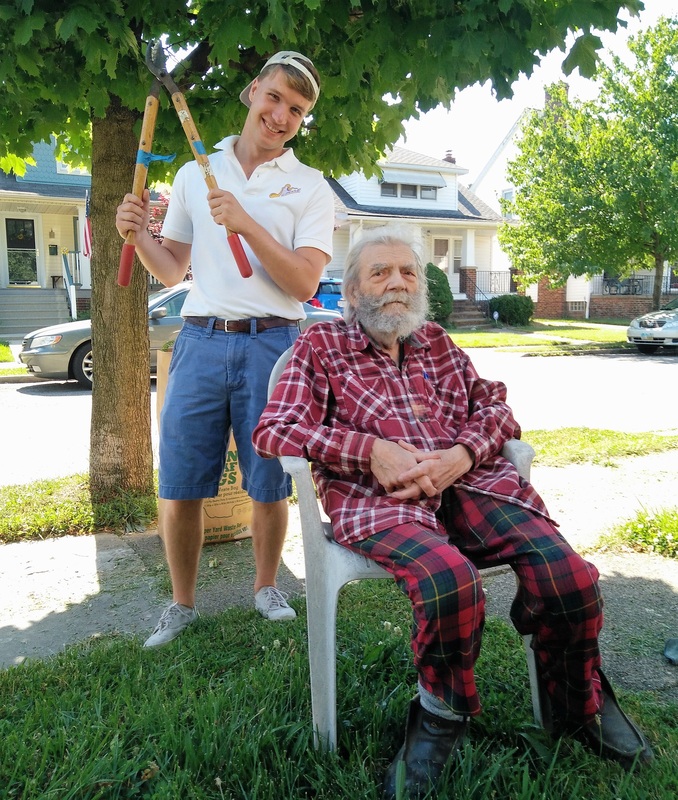 Mr. Lee Mesenheimer watched with approval from his lawn chair as the committed crew of volunteers mowed his lawn and trimmed his bushes. The elderly resident of Lakewood’s Olive Avenue knew his yard was in good hands. LakewoodAlive hosted volunteers from Faith Lutheran Church for a volunteer project on Olive Ave. on June 18. That’s because LakewoodAlive and Faith Lutheran Church were on the job. 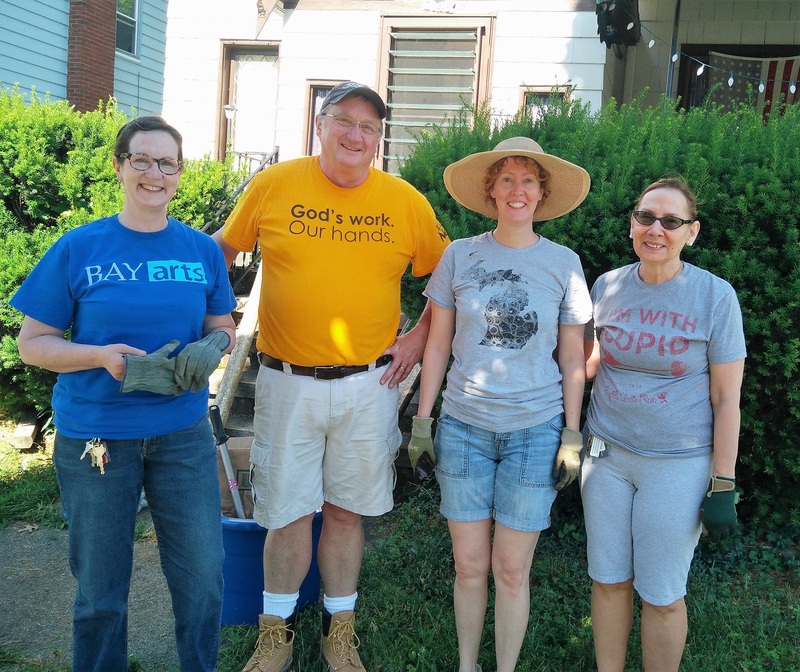 The community-centered nonprofit hosted the Hilliard Road church on Saturday morning, June 18, for a beautification project at Mr. Mesenheimer’s 1930s-era home. The western Lakewood home was purchased by Mr. Mesenheimer’s parents for $7,000 in 1940 and has remained in the family ever since. LakewoodAlive has assisted Mr. Mesenheimer with several projects the last several years, including repainting the exterior, replacing the hot water tank and adding an awning. The retired electrical engineer, for his part, is grateful for the aid. “This work needed to be done, and I really appreciate the help,” said Mr. Mesenheimer. For Faith Lutheran Church, Saturday’s cleanup marked the fourth project completed in conjunction with LakewoodAlive, with most of the volunteer efforts taking place right in its immediate neighborhood. The church also provided snow shoveling for neighboring residents last winter and offers a weekly after-school Arts Camp for children. 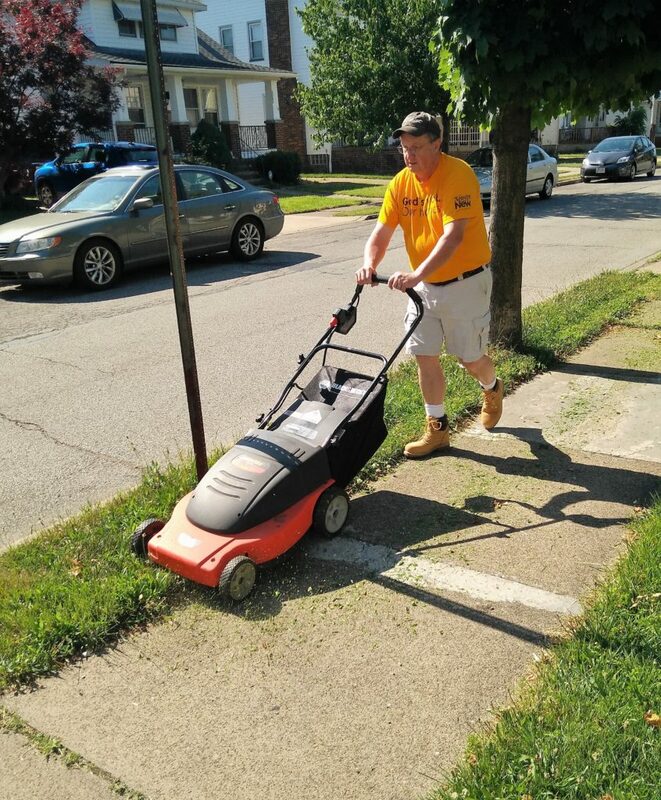 By the time the volunteers had finished their task Saturday, Mr. Mesenheimer’s yard featured a mowed lawn, trimmed bushes and weeded flowerbeds. Thank you, Faith Lutheran Church, for your tremendous volunteer effort. This beautification initiative represents the 18th volunteer project completed by LakewoodAlive thus far in 2016, with no end in sight. For more information regarding LakewoodAlive’s Housing Outreach Program, please contact Allison Urbanek, Housing Outreach Director, at aurbanek@lakewoodalive.com or 216-521-0655.